Liam Gallagher made his solo US television debut on CBS-TV's The Late Show with Stephen Colbert on August 14, and footage from the program is streaming online. Gallagher delivered a performance of “For What It’s Worth”, the new single from his forthcoming album debut, “As You Were”, and the track “Wall Of Glass” as an online exclusive. The Oasis singer pre-taped his appearance on the show ahead of Monday’s broadcast as he is playing a series of live dates in Asia this week following a short run of gigs in the US and Canada. Gallagher played his US solo live debut during a secret show at the McKittrick Hotel in New York on July 18, and made headlines when he shut down his August 3 performance at Lollapalooza in Chicago, IL after just four songs due to vocal issues he experienced during a show at the city’s Park West venue the night before. 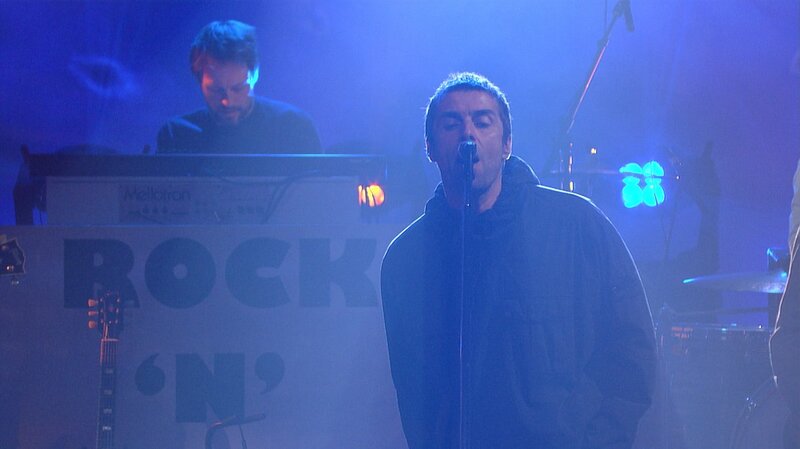 The rocker will return to North America to officially launch “As You Were” with a three-week run of dates in November.